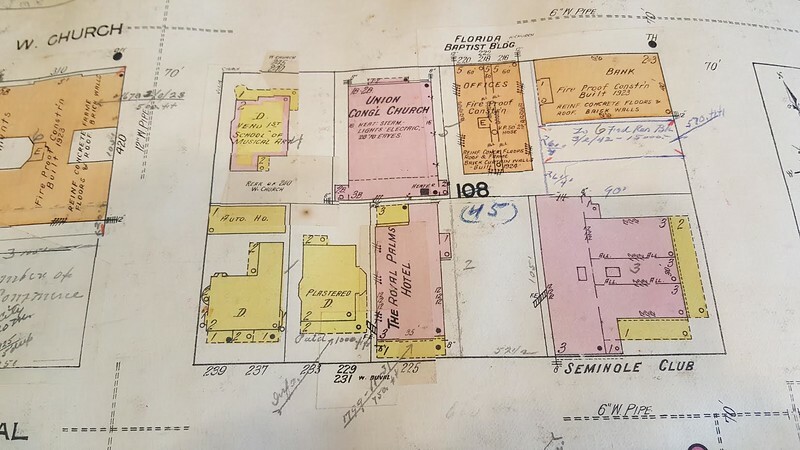 A behind-the-scenes look into the history and decay of the last downtown Jacksonville office building designed by early 20th century architectural mastermind H.J. Klutho. The Florida Baptist Convention Building was designed by H.J. Klutho and completed in 1924 at 218 West Church Street. It was originally constructed as a four story building to house the denominational offices of the Florida Baptist Convention and a church publishing operation called the Witness Press. A fifth floor was added a year after its completion to create additional space for the U.S. Veteran’s Bureau. Unlike many of H.J. Klutho’s buildings, the Florida Baptist Convention Building was not built as a Prairie School-styled architectural theme. Instead, its facade contained modest classical decorative elements, a projecting cornice, canopy and a small third floor balcony. At the time, the lobby entrance was characterized by Alabama marble. After being rocked by financial misdeeds, the Bureau was replaced by the Prohibition Bureau and the Intelligence Unit of the U.S. Treasury Department in 1928. In 1932, the building was renamed the Rogers Building, serving as the headquarters for several insurance companies, including Independent Life. In addition, between 1946 and 1954, the offices of architect Mel Greeley were located in the structure. In 1959, the Florida Baptist Convention sold the structure and relocated to a larger site in San Marco. At the time of its addition to the National Register of Historic Places in 1984, the building was occupied by engineering firm Register and Cummings and in pretty solid shape. Unfortunately, the last 33 years haven’t been kind to the building that housed local federal offices in charge of enforcing the 18th amendment. As these images Abandoned Florida images illustrate, time has taken its toll on this H.J. Klutho designed structure. Recent development proposals in the vicinity have called for the demolition of this forgotten downtown structure. Ultimately, Lemonis decided to go in a different direction, leading to another redevelopment proposal for the site in 2015. 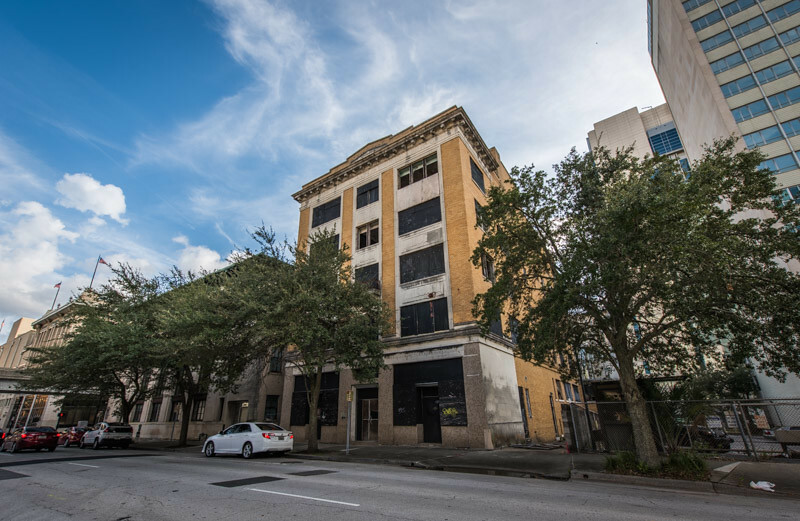 The new proposal involved Florida State College at Jacksonville (FSCJ) converting the abandoned office building into a 50 unit dormitory for students at their nearby downtown campus. That $4.8 million project would have required $2 million in support from the Downtown Investment Authority and $75,000 from the City of Jacksonville. FSCJ eventually moved on to a larger abandoned structure a few blocks away. No one knows what the future will ultimately hold for the Florida Baptist Convention Building. Whatever happens, it’s unlikely that it will fall down on its own. It’s cream color brick exterior is nothing more than a curtain wall covering a reinforced concrete structure.